NMEA2000 compatible drop cable with a male connector on one end and a female connector on the other end. The male connector fits into all usual NMEA 2000 backbone T-connectors. The female connector connects the NMEA2000 device. 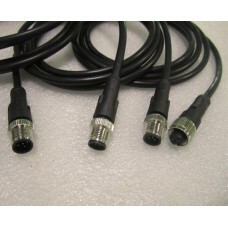 NMEA2000 compatible drop cable with a male connector on one end and a female connector on the other end.